punch. | hello it's ming. Here comes the ‘sequel’ to Ronin. 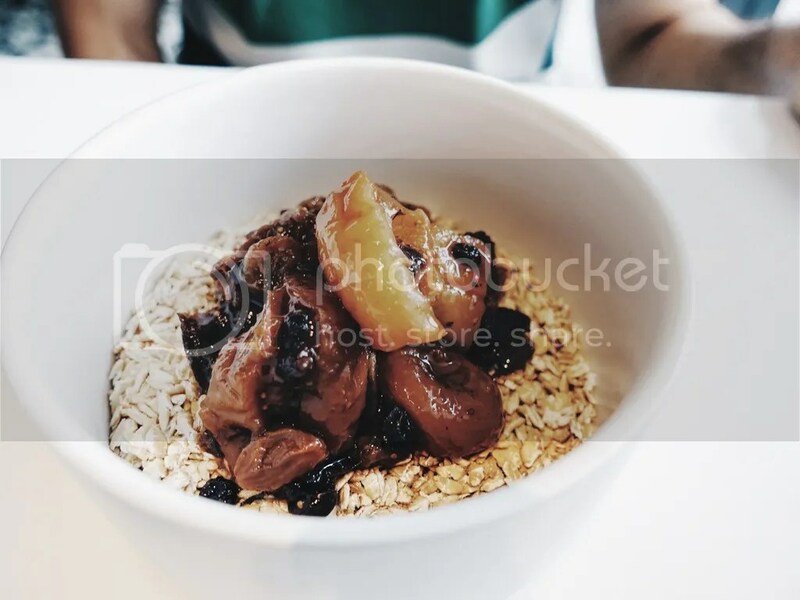 After a semester of hearing about this brand new space with idyllic lighting, wonderful minimalist interiors and solid menu, I knew that a visit to Punch was in order upon commencing summer break. I’m not too sure whether to feel sad that I had missed the first-wave menu as I was eager to try their brand new offerings, which were only put into force three weeks prior to my visit. 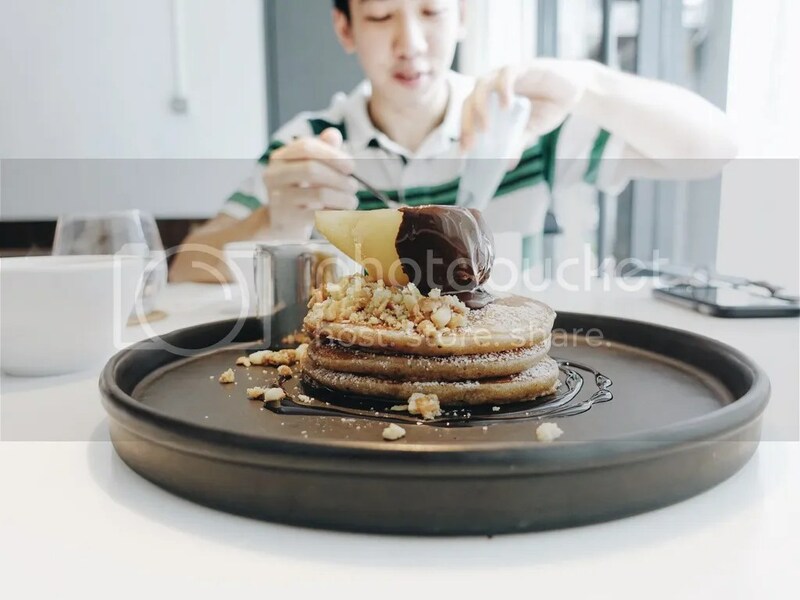 Honestly, once I heard that there were Pancakes on the menu I was sold. On a side note, I think it would be best for me to clear the air regarding a certain matter. My name is Ming, and I am a pancake addict. I met with my lawsku buddy on a Tuesday morning to deal with our Punch curiosities. Like its older siblings, Punch has an unassuming presence along a retail/foodie strip. Its subtle and signless entrance opens up into a bright, spacious, white-themed and minimalist space. The interiors are the true definition of ‘less is more’. What I appreciated most was its antithesis to Ronin, which was much more rustic and dark in its charm. Succumbing to addiction, I ordered the Earl-Grey Infused Pancakes with White Chocolate Macadamia Crumble & Poached Pear. My buddy was evidently, much healthier than me and opted for the Hand-rolled Oats & Fruit Compote. The Pancakes were beautifully light and fluffy with a distinct and delicate Earl-Grey flavour. It reminded me of my last winter in Sydney, where an aromatic cup of Earl-Grey would warm my frozen hands on chilly weekends. 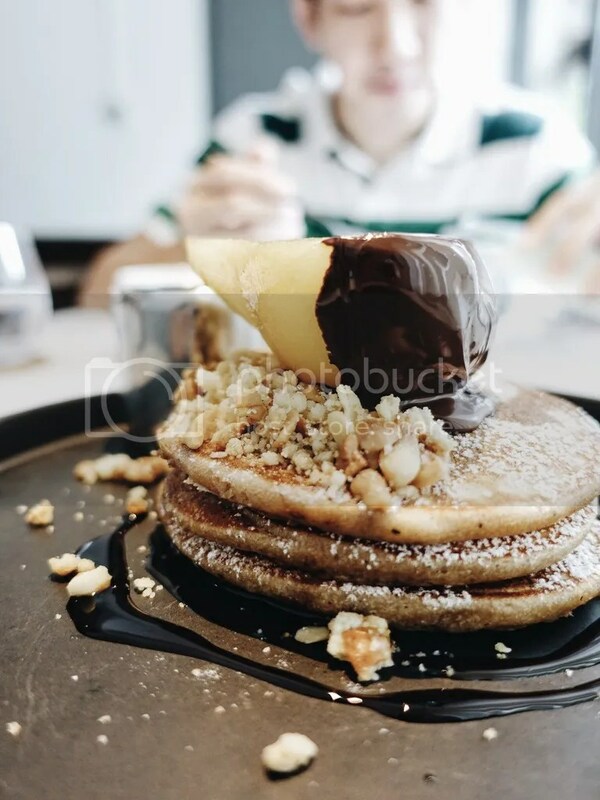 Call me strange, but I would have been perfectly content if the pancakes had come with the sinful comfort known as butter and the syrup provided. Although I’m not one to complain about chocolate, it ended up masking the tea-infused awesomeness. I really wish it had not. I remedied this by enjoying the elements separately :). The buddy felt that the oats were a little dry. I usually opt for oats in the form of overnight soaked goodness a.k.a Bircher or crunchy granola. If I’m disorganised and forget the overnight soak, I dramatically drown the oats in milk or yoghurt. We came to the conclusion that more milk was need. Coffee-wise, we opted for the V60 and Chemex Filters. As I am always a fan of the bolder, caramel or nutty tasting brews, my selection was the V60. 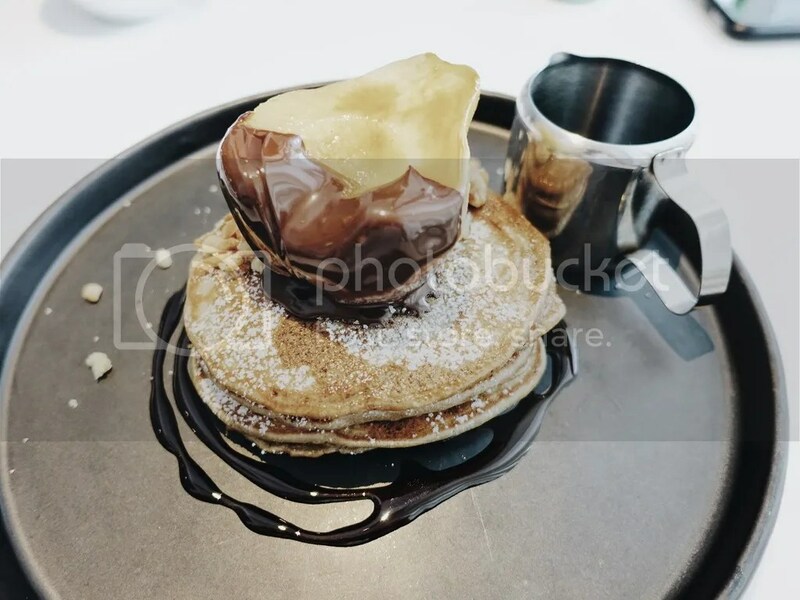 I increasingly enjoyed the filter as it cooled down to room temperature and it went well with the richer chocolate component of the pancakes. 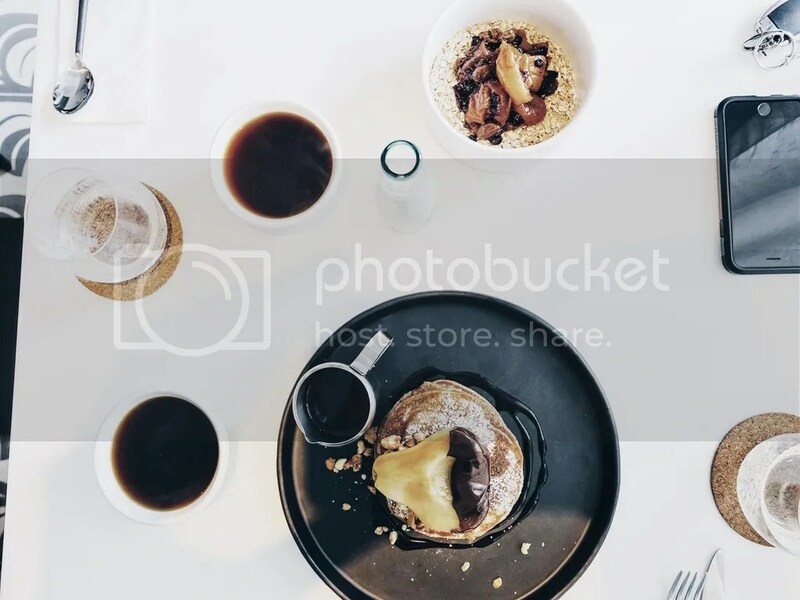 Overall, the Punch space is a designer’s dream, which is attributed to @phaybulous. It can become quite busy around lunch time so I would suggest beating or missing the office crowd rush if you can! If you are looking for a more relaxed and leisurely space, I suggest Ronin to be more suitable. However, Punch has a more multifarious menu for those in search of more than the usual brunch suspects.